The faces of Freakonomics are Steven D. Levitt, an award-winning professor of economics at the University of Chicago, and Stephen J. Dubner, a widely published New York–based journalist. 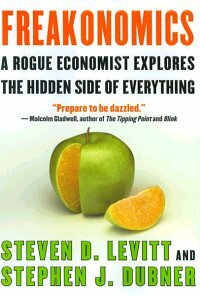 Levitt is celebrated for using data and statistics to solve an array of problems not typically associated with economics. Dubner has perfected the formula for conveying the excitement of Levitt’s research—and of the growing body of work by his collaborators and followers. On the heels of Freakonomics, the pop-economics or pop-statistics genre has attracted a surge of interest, with more authors adopting an anecdotal, narrative style.